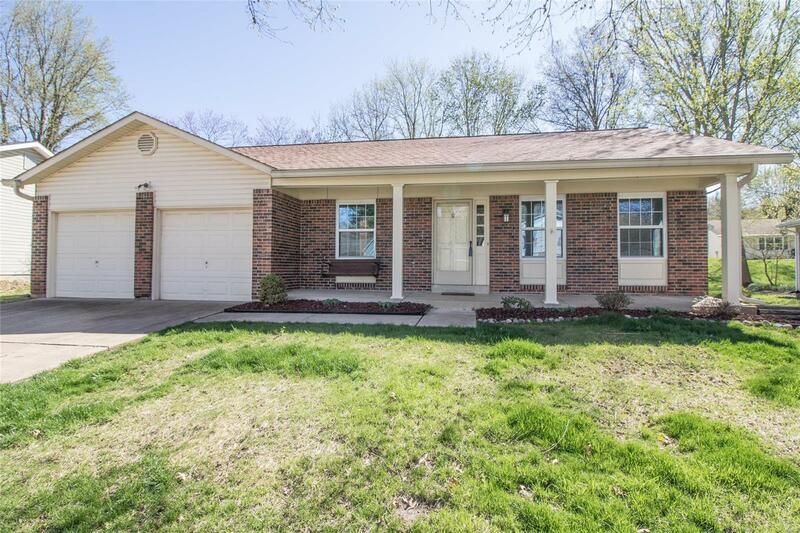 Nestled on a quiet street just down from Queeny Park in Parkway West High School, your future home awaits! The covered front porch welcomes you inside to the formal living and dining rooms. Vaulted family room features beautiful fireplace, open staircase, skylight, and leads to the kitchen. The updated kitchen boasts updated wood cabinetry, beautiful granite countertops, center island, double wall oven, newer cooktop (2016), pantry, main floor laundry, & built in desk area. Just down the hall, you will love the updated hall bathroom, 2 bedrooms, & master bedroom suite with remodeled bathroom. Need more space? The finished lower level offers 2 bonus rooms, full bathroom, large rec room, & plenty of storage with built in shelving and cedar closet. Unwind outside on the large deck overlooking the fenced yard. Additional Features: Furnace & A/C (2016), Fence (2016), Roof (2016), Master Bath (2017), carpet (2016), Vinyl Siding, & Home Warranty for Buyerâs Peace of Mind!